A new, strategic partnership between Northwestern and Tel Aviv University (TAU) will mark its first event next week in an ongoing, long-term collaboration. Based around the theme of semiconductors, electronic materials, thin films, and photonic materials, the inaugural workshop will take place February 22-25 at Tel Aviv University in Israel. The event aims to build new and strengthen existing collaborations between faculty members in Northwestern’s McCormick School of Engineering and TAU’s Iby and Aladar Fleischman Faculty of Engineering. 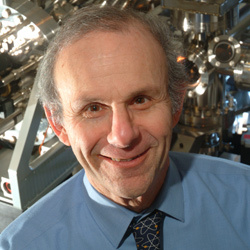 David Seidman, the Walter P. Murphy Professor of Materials Science and Engineering at McCormick, and Noam Eliaz, founding chair of the department of materials science and engineering at TAU, are workshop co-chairs. The first two days of the workshop will consist of scientific presentations and discussions, designed to initiate new, cross-school collaborations. Presenters from McCormick include professors Seidman, Koray Aydin, Randall Berry, Matthew Grayson, Mark Hersam, Jiaxing Huang, Lincoln Lauhon, Laurence Marks, Seda O. Memik, James Rondinelli, Selim Shahriar, Jeffrey Snyder, Peter Voorhees, and Bruce Wessels. The third day will feature poster presentations from graduate and postdoctoral students from across Israel. “We believe that this inaugural workshop will build new collaborations and expand already excellent research connections among faculty in materials science and engineering, resulting in new, multi-, and interdisciplinary scientific insights at both institutions,” said McCormick Dean Julio M. Ottino. “We hope these workshops will bear much collaborative fruit in the coming years."